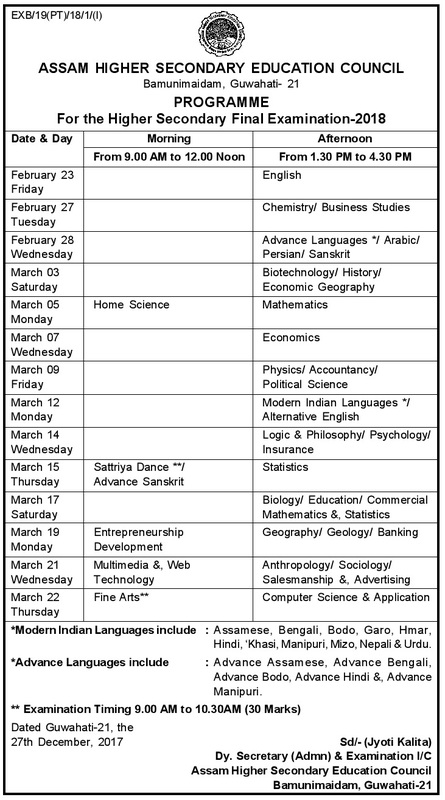 conduct 12th (HS 2nd year) Examination from 23rd February, 2018. In this year (2018) AHSEC will conduct HS 2nd year (class 12th) Examination from 23rd February, 2018. 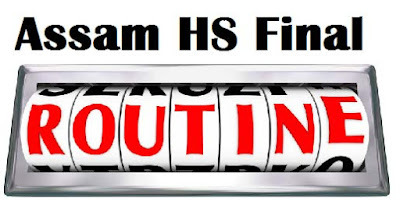 Candidates can download their routine from below link. 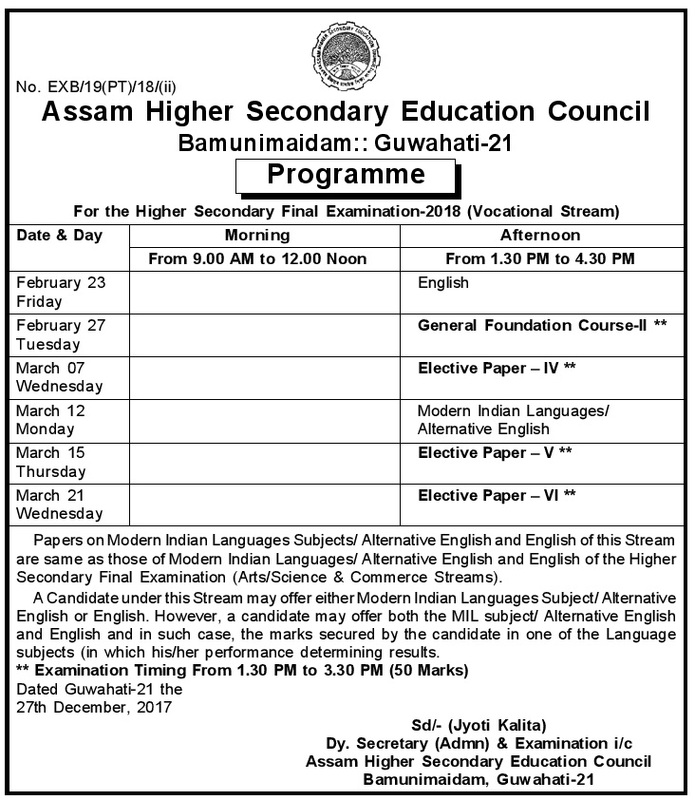 The Assam Higher Secondary Education Council conducts HS 12th Examination in the month of February and March. So in this year also AHSEC will conduct HS 12th Exam from 23rd February, 2018. The amount of Students appearing for Higher Secondary (HS) exam is going bigger and bigger each year. Candidates can download HS Final Examination 2018 Programme/routine from the below mentioned link. Candidates now can prepare accordingly for the grand examination.